With U.S. Fence & Gate’s expert Security Systems, you can rest assured your property is better protected than ever before. We use the latest, cutting-edge fencing and gate technology, combined with our years of experience and knowledge to create and design a safe haven habitat in which you can function. The choices are many, but U.S. Fence & Gate Inc. will help you through every step to decide which system works the best for your security needs and how accessible you desire your environment to be. 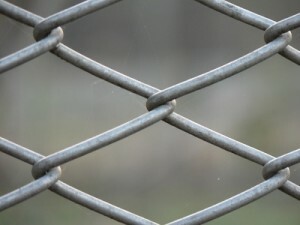 Fences offer definite boundaries in ways few other structures can. They are one of the best assets used to improve security and add a sense of impenetrable solidness both from within and without. U.S. 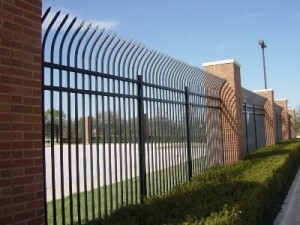 Fence & Gate strives to be the most respected and efficient Corporation in installing fencing and gate products for all types of industrial, commercial, and government facilities. We also guard our reputation with our residential customers by providing the same professional quality services for securing their homes with our fencing solutions. Whether it’s Galvanized Chain Link, Ornamental Iron, Wrought Iron, Wood Privacy, Vinyl, Composite, Privacy, Perimeter Security and Control, Anti-Ram, Anti-Climb, Wire Partitions, Animal Control and Kennels, or Custom Design Fencing, U.S. Fence and Gate can provide you what you need for any type fence and gate material or installation product. Gates are both the entrance and the exit to every facility. They provide control and extra security by limiting accessibility to both pedestrian and vehicular traffic. Today, with security risks and safety concerns at an all-time high, let U.S. Fence and Gate Inc. offer our gating solutions that meets your specific issues and requirements needed to secure your investments. With U.S. Fence and Gate, you can choose from a huge variety, in all shapes and styles of Custom Gates, Swing Gates, Cantilever Slide, Overhead Track, Roller, Accordion Style, Vertical Lift, Barrier Arms, Sally Port, Manual or Motorized and Anti-Ram to name a few. Contact us at U.S. Fence and Gate Inc. to install the perfect Gateway Entrance for your unique location. Renting Temporary Fencing from U.S. 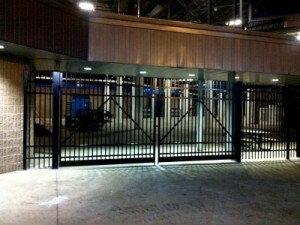 Fence & Gate Inc. offers protection for special events, industrial and construction sites, highway projects and more. Temporary chain link fencing, gating, snow fencing and portable panel fencing provide safety to construction sites as well as to the public as a whole. Temporary wood fencing panels present complete concealment from public viewing while simultaneously separating the construction area. Silt and Super Silt fencing are used to effectively prevent and control overspill and erosion. All U.S. Fence & Gate silt fences work efficiently as sediment barriers. U.S. Fence and Gate were contracted to install a high security fence around one of our critical infrastructures. 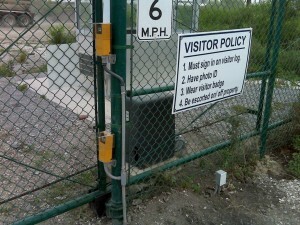 An access control system was added to the gates. This would normally have required trenching to house the cable conduits, however, thanks to USF&G's unique design; the cables were able to be run in secure channels incorporated in the fence. This not only negated the need for costly trenching, they also proved to be extremely easy to use.